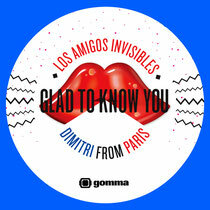 The Gomma label looks to Venezuelan Grammy winners Los Amigos Invisibles and Dimitri From Paris for their latest single, a cover of the Chaz Jankel classic ‘Glad To Know You’, backed with a remix from Ray Mang. Los Amigos Invisibles have had an all-encompassing career taking them from the streets of Caracas, Venezuela in the early-90s to the stage of the Grammy awards in 2010 via just about every corner of the globe. Along the way they hooked up with legendary DJ/producer, Dimitri From Paris who met them through Louie Vega in New York, Dimitri went on to produce their ‘Venezuela Superpop’ album as well as featuring the outfit on his own recordings. 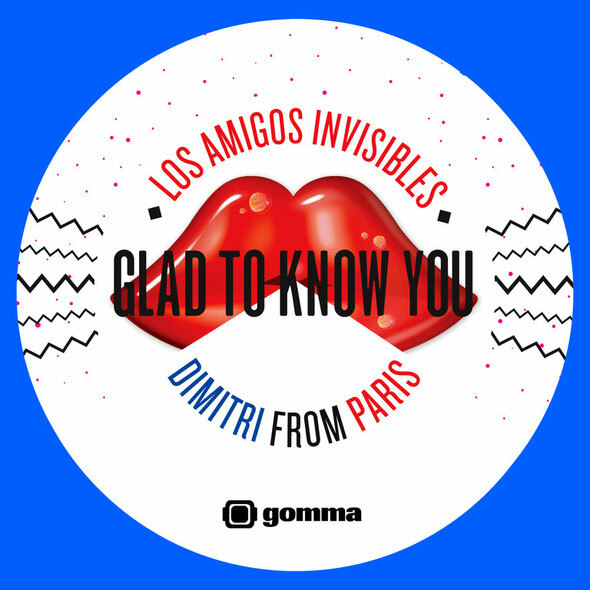 Now the Los Amigos Invisibles/Dimitri pairing is back for a brand new single on Germany’s leading eclectic electronic label Gomma. ‘Glad To Know You’ was originally a big hit for funk heavyweight and Ian Dury collaborator Chaz Jankel in 1982, now Los Amigos Invisibles and Dimitri From Paris take up the reigns with a cover version that is both true to the original and unique. Heavily delayed drums, warm bass and swirling FX roll around the funk laden guitar licks, uplifting keys and infectious vocals to create an instant floorfilling classic. For those who prefer things a little less vocal, there is a superb instrumental to accompany the original. To complete the package remix duties are handed over to UK production powerhouse Ray Mang who delivers an epic, near eleven minute long dub version that has Balaeric moment written all over it.